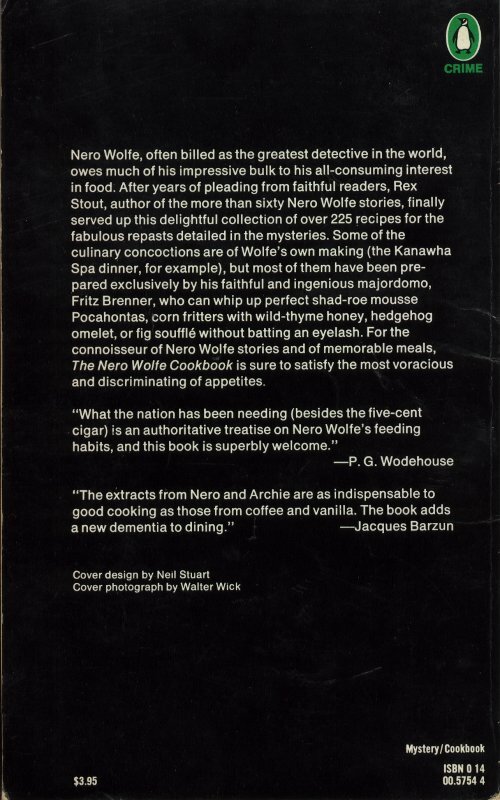 Inspired By Wolfe is a cooking blog (mostly) inspired by dishes from the Nero Wolfe series of books and the Nero Wolfe Cook Book. There are some very good recipes and info on the site as well as a short and humorous story told in cookies: Murder by the cook: A murder mystery told in cookies. 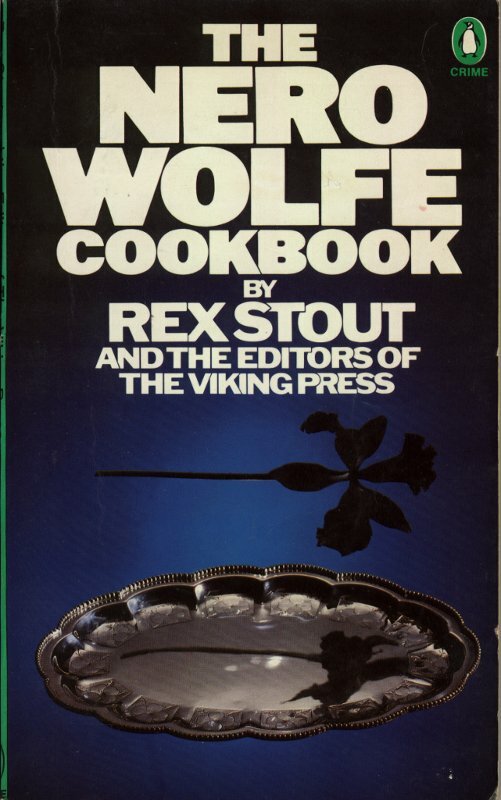 I’ve spent quite a bit of time browsing around and have read all the Wolfe related recipes and must say I’ve learned a lot! I tried the scrambled eggs in a double boiler last night and they were good. However as the only double boiler I have is glass and the stove (electric) doesn’t regulate well, they cooked too hot/fast so am going to have to try again. The sauisse minuit recipe sounds (and looks!) quite good! Going to see if I can find a source for Pheasant and Goose here in East Central Alabama and give it a try.